Hospital Service Support Foundation is established with the aim of providing the Opportunity to aid the growing health-care needs of Sri Lanka. Our primary aim is to create a sustainable platform to connect both the US living Sri Lankan community and other local organizations interested in supporting the welfare needs of developing countries. The partnership with Hospital Services Council (HSC), an existing non-profit organization in Sri Lanka, paves the necessary path to distribute services collected here in the US and successfully distribute them to the needed patients in local hospitals in Sri Lanka. We further ensure our generous donors that all items donated are distributed carefully to selected poverty-stricken patients through an extensive screening process conducted by HSC in coordination with local hospitals to ensure that your donation reaches the best need as possible. Please visit the donate page for information about how to donate. Monks in Labunoruwa monastery are donating 100 tipitaka book sets to needy temples, monasteries and other dharma education institutes across Sri Lanka in an attempt to squash the adharma distribution by rejuvenating the tipitaka learning in Sri Lanka. 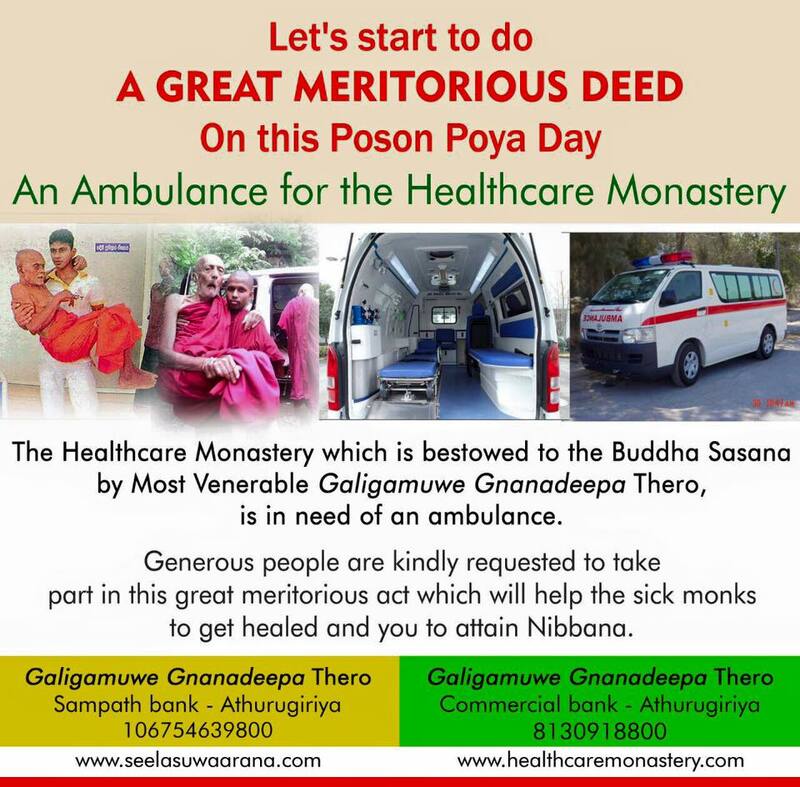 The donation will happen in front of Ruwanweli Maha Seya in Anuradhapura on May 12th where a ceremony will be held whole day (information about it can be found here). May 12th is also the 50th birthday of Ven Mankadawala Sudassana, chief meditation master of Labunoruwa monastery. The cost of printing a book set consisting of 57 books is estimated to be 50,000 Rs (320 USD). You can contribute to this great dharma dana by sponsoring one or more book sets. Please visit the donate page for information about how to donate. Be a part of the flood donation programme, conducted by Path Nirvana Foundation. Now you can donate to the people who are affected by the floods and landslides in different parts of the country with long term support items such as clothes, water filters, mattresses and medicine. Path Nirvana Foundation is collecting funds to distribute goods among various projects helping the relief operations in Sri Lanka. Please make your charitable donation using our donation instructions. respectively. In addition Mr Udana has personally supervised program by traveling to the flood area with Ven Thero to attend the donation. 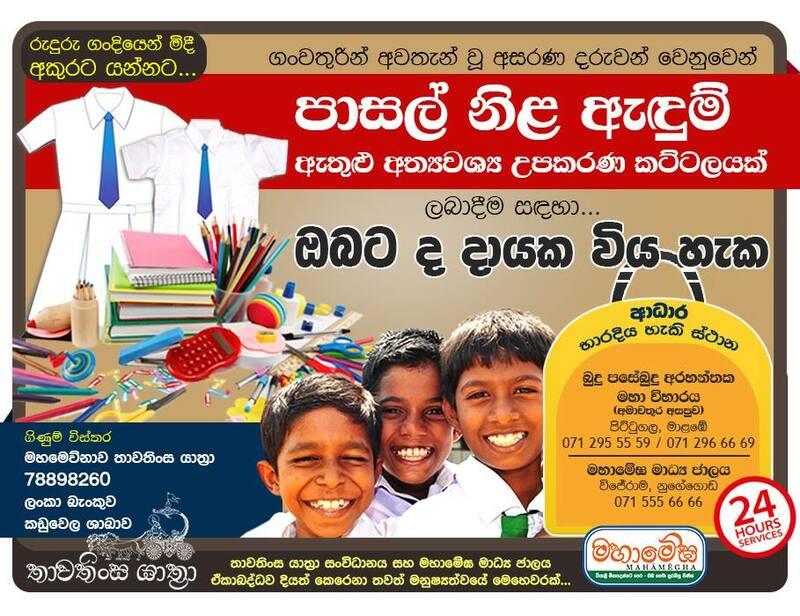 There is an opportunity to help the Bhikkhu hospital started by the Galigamuwe Gnanadeepa thero in Horana. Check the photo below. As of a week ago 2.5 million was collected from donors around the world out of about 10 million estimated amount needed to buy the Ambulance. More information about this Bhikkhu hospital can be obtained from the two websites below. To receive updates about our charity projects please subscribe to our website pathnirvana.org by entering your email address on the top-right corner. Project Progress: On 2016-08-29 We have sent $6,900 for this project. As of 2017-06-19 Galigamuwe Gnanadeepa thero has bought the Ambulance the details are posted in his Facebook page with the photos. Project Progress: completed on 06/05/2015. PNF has collected 1480 USD from the donors in US. An anonymous donor has come forward to double the donated amount increasing the grand total to 2960 USD. This amount has been transferred it to the Thavathinsa Yathra account in Sri Lanka shown above. If you are interested to know more details please contact us. The photos of the donations made by the Thavathinsa Yathra were posted on their Facebook page which can be accessed here. Maharagama Cancer Hospital in Sri Lanka is badly in need of a PET CT scanner. So far only one private hospital has the facilities necessary to do PET scans. One scan costs around Rs.150,000 and during the course of treatment most patients need to undergo many scans but they cannot afford private scans. A PET CT scanner costs approximately Rs. 200 million. The lack of a PET CT scanner has caused complications and irregularities in the diagnosis of cancer. In other words, a PET scan would give hope of life to a person who would have otherwise succumbed to a deadly disease. We encourage everyone of you to watch the video. Project Progress: completed on 06/05/2015. PNF has collected 7011 USD from the donors in US and transferred it to the Cancer Hospital account in Sri Lanka. If you are interested to know more details please contact us. Ven Mankadawala Sudassana thero is one of the most prominent meditation teachers in Sri Lanka. 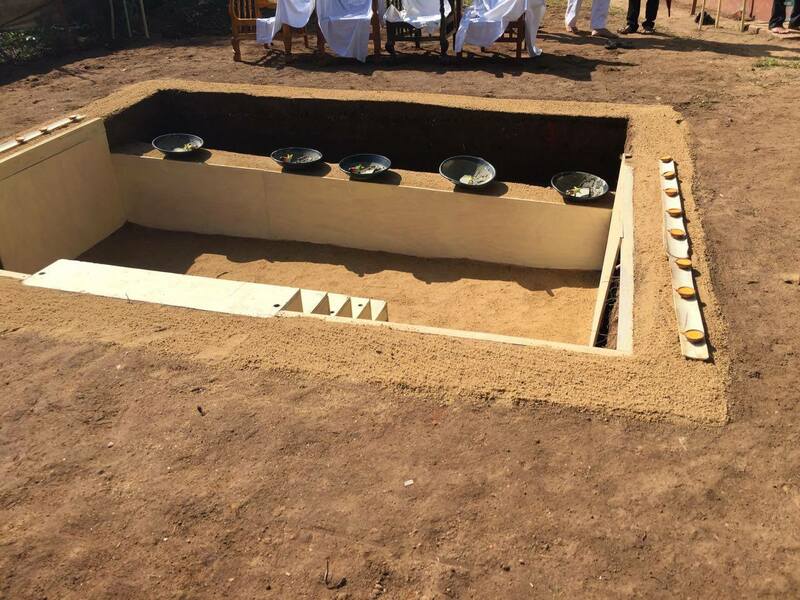 A 3 story meditation center and a bhikku training center is being built in Anuradhapura, Sri Lanka for the furtherance of his dhamma teaching activities. The center will be used by local and international Sangha community to research and practice the dhamma in accordance with the Pali Canon. There is a rare opportunity for you to help in the construction of Center. The construction progress as of mid November 2015 can be seen in the photographs below. If you are living in USA, you can donate to this project via Path Nirvana Foundation (PNF) which is a US 501(c)(3) non-for-profit organization. Please email info@pathnirvana.org for more information. We will send all the funds gathered for this project on Feb 13 2016, so please send your funds before that. Your donation is tax deductible to the extent permitted by the law. Project Progress: completed on 02/13/2015. PNF has collected 5700 USD from the donors in US and transferred it to the Dhammahadaya Aramaya account in Sri Lanka. If you are interested to know more details please contact us. The photos of the completed building were posted in the Sudassana thero’s website here.